22 Jun 2014 & 13 Aug 2014. 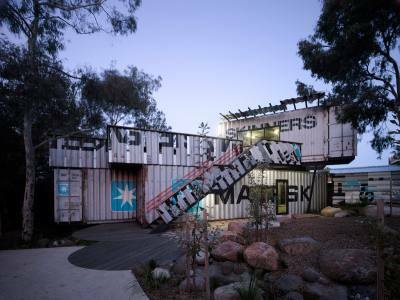 Two new international articles have been published which feature PHOOEY’s Children’s Activity Centre amongst Thrillist’s World’s Coolest Repurposed Shipping Containers and Smarter Travel’s 15 Awesome Cargo Structures Around The World. Refer City of Port Phillip website for opening hours.